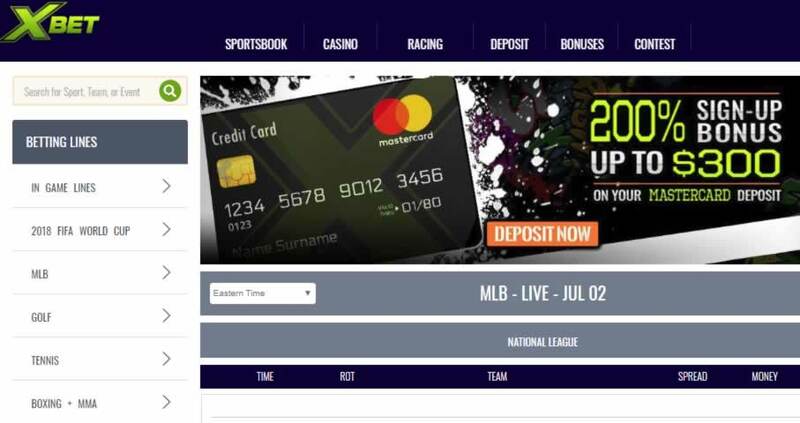 If you’ve had a look at our reviews here at GoodSportsBooks.com, you know that one of our top recommended sportsbooks online for some time now is MyBookie.ag. 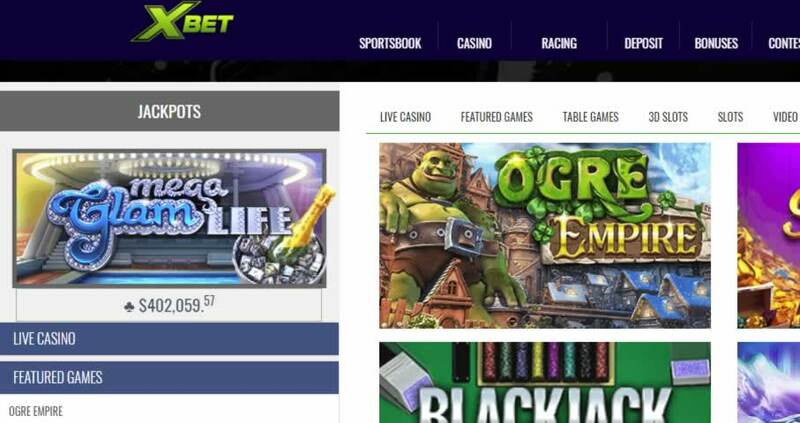 The team over at MyBookie has proven themselves to us time and again, so when we heard they were offering action at a new site, Xbet.ag, we had to check it out and see if they lived up to the hype we were hearing. In this review, we’ll tell you everything you need to know about Xbet bonuses, deposits and withdrawals, betting markets, and more. The short answer is we think they are legit and that most bettors will like what they have to offer. Let’s get to the details on what you want to know about XBET.AG. Most sportsbooks online offer high initial deposit bonuses like these, but not all sites offer great ongoing bonuses for loyal customers. So it is great to see this 50% reload bonus over at Xbet. I went ahead and checked on the rollover requirements, and found out that they are usually anywhere from 3-10x the amount of your deposit plus the amount of the bonus. This is quite reasonable; I’ve seen much higher rollover requirements elsewhere. So take advantage of these fantastic bonus offers when you sign up and when you make subsequent deposits! Pretty cool! You won’t find this kind of excitement just anywhere! What Sports Can You Bet on at Xbet.ag? As you can see, there is a huge array of sports betting markets available, but there are also a lot of unusual markets as well. You can bet on everything from the FIFA World Cup to who the next pope will be. 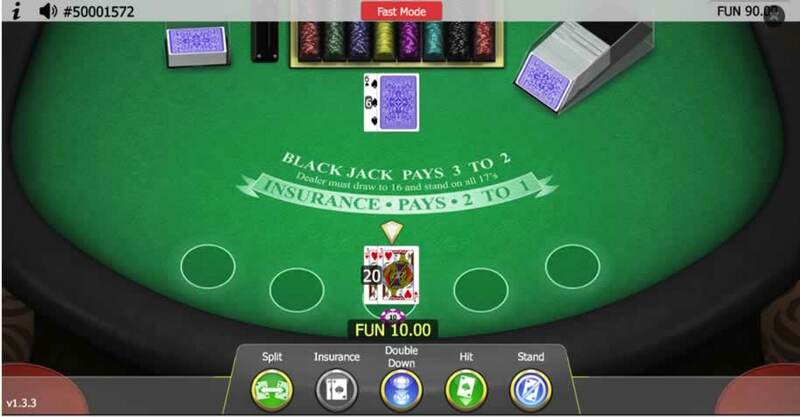 Xbet also offers a casino section, so you can enjoy slots and other games there as well if you want to take a break from sports betting. 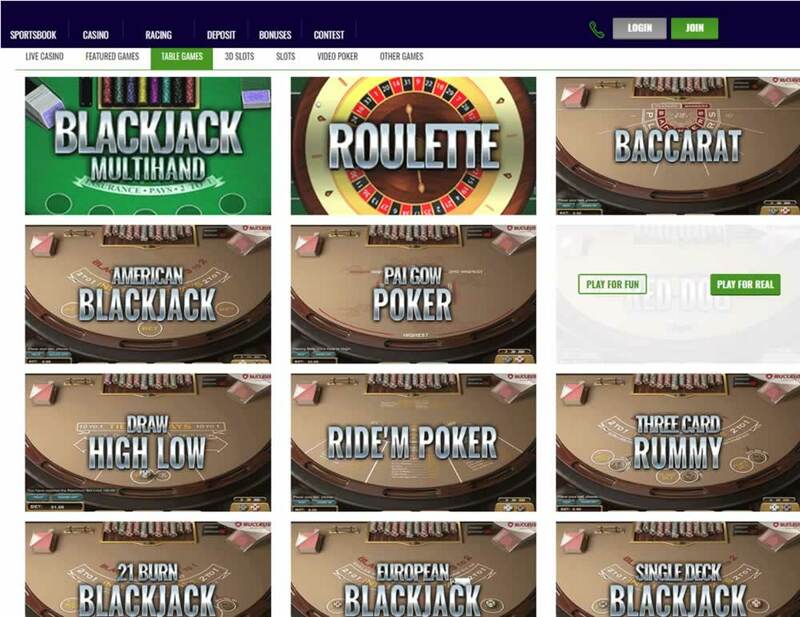 What Types of Bets Are Offered on Xbet.ag? The minimum wager amount you can place on Xbet is $2. The maximum amount varies depending on the line type. You can input the amount you want to bet and see if it goes through. Xbet.ag is quite flexible when it comes to deposits and withdrawals. So for example, at the Newbie level, the minimum amount per transaction is $45, and the maximum amount is $500. At the Gold level, the minimum remains $45, but the maximum is $1,500. Additionally, your tier determines your daily deposit limit, your weekly deposit limit, and your monthly deposit limit. So the daily deposit limit for a newbie is $500, while the weekly deposit limit is $1,500 and the monthly deposit limit is $2,000. For a Gold customer, the limits are $3,000, $7,500 and $30,000 respectively. How this pertains to the minimums and maximums listed in the first section (i.e. the $45-$1,000 range for debit and credit cards) is a bit confusing, but if you have any questions about a specific method and account tier, you can always consult with customer service before attempting a deposit or withdrawal. Bitcoin payouts have no fees. What else should you know about withdrawals? Xbet is pretty fast with processing. Assuming there are not a lot of people in line ahead of you, it is possible to have your payout processed within 24 hours. You must withdraw a minimum of $100. If you made your deposit using a credit or debit card, you need to wait 7 business days at a minimum before you schedule a withdrawal. You also must roll over the amount of your deposit 1x before you withdraw. Remember that if you accepted a bonus, there will be an additional rollover requirement. There are several ways you can get in contact with Xbet if you have any questions while depositing, betting or withdrawing. You may fill out a contact form on the site, or you can call customer service or the wagering department. If you prefer, you can send an email, use live chat, or connect via Facebook, Twitter or Instagram. I had a few questions while I was exploring the site, so I decided to use live chat to talk to an agent. The box informed me that an agent named Angel had joined the line, but it took another minute or so before she responded. It turned out that it was well worth the wait! Angel was incredibly helpful, providing me with detailed answers to all of my questions—including the information on specific withdrawal fee amounts. She was also super friendly the entire time. A full variety of sports to bet on. Final Thoughts on Xbet.ag – Are They Legit? Yes, by all accounts xbet.ag is legit, fair and safe place to bet online. 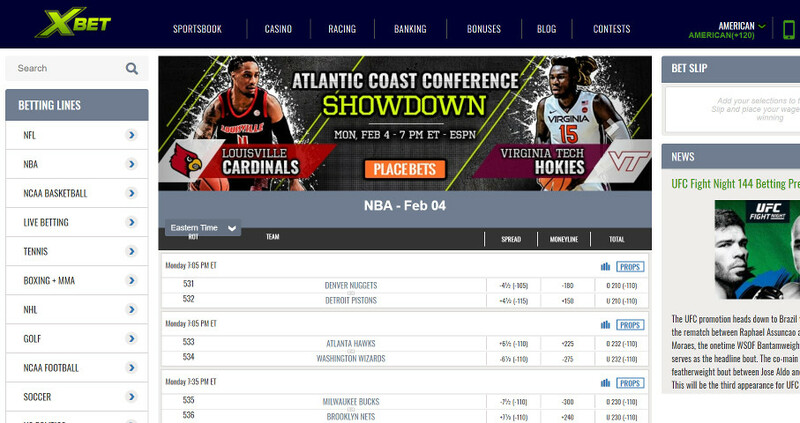 Xbet.ag continues the same tradition of sports betting excellence that we have come to depend on over at MyBookie. You can place a huge variety of bets on just about every sport you can think of plus some unusual betting markets, and you can score some extra value in the form of bonuses and contests. A fabulous customer service team (seriously) is there to help you out whenever you need it. And your withdrawals will typically be processed in 1 business day. For a smooth, hassle-free, fun, and potentially lucrative betting experience, Xbet.ag is a fantastic choice! Use a credit card or bitcoin to make your first deposit.